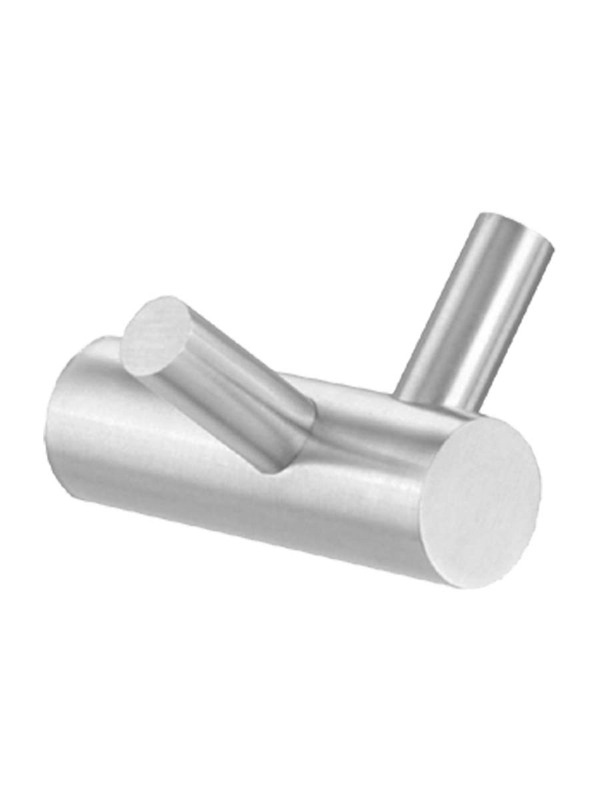 Door : 18-8, type-304, 1.2mm (18-gauge) Stainless Steel. 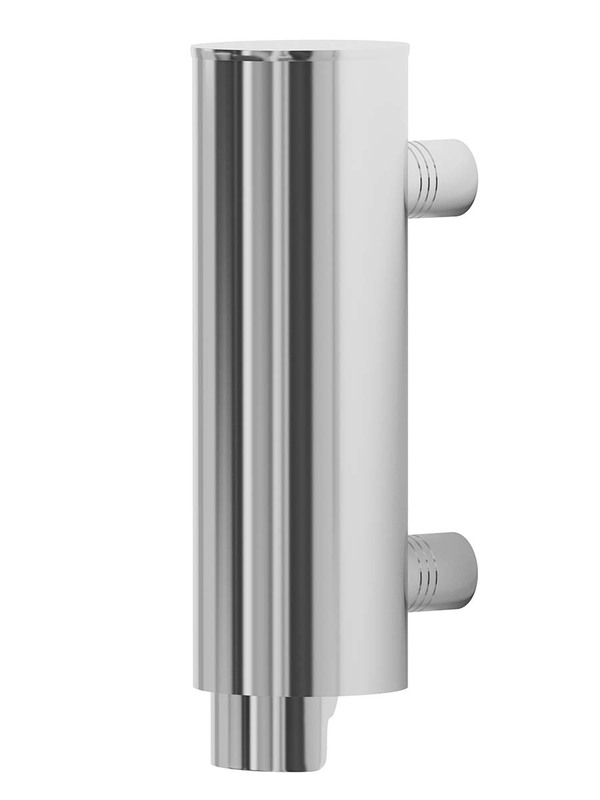 Secured to cabinet with a concealed,full-length stainless steel piano-hinge. 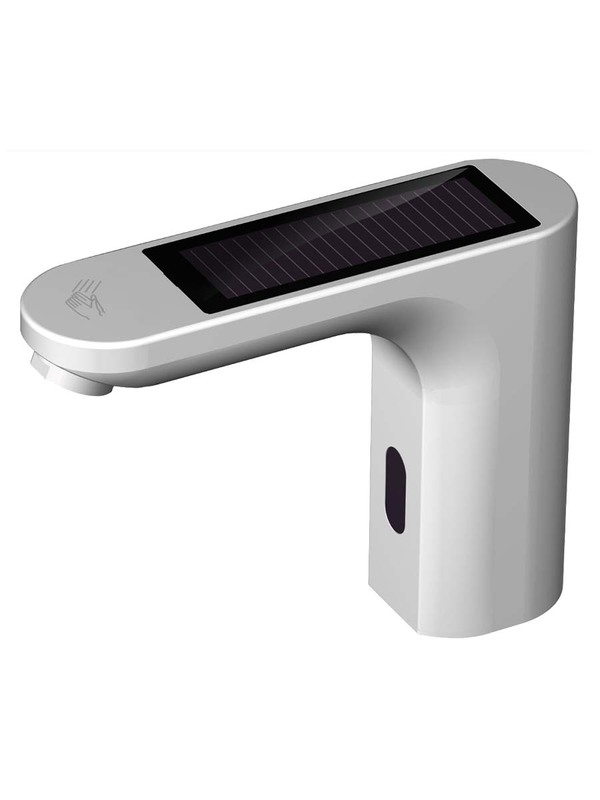 Equipped with a stainless steel cable door-swing limiter and three tumbler locks keyed (1 key for 3 locks). 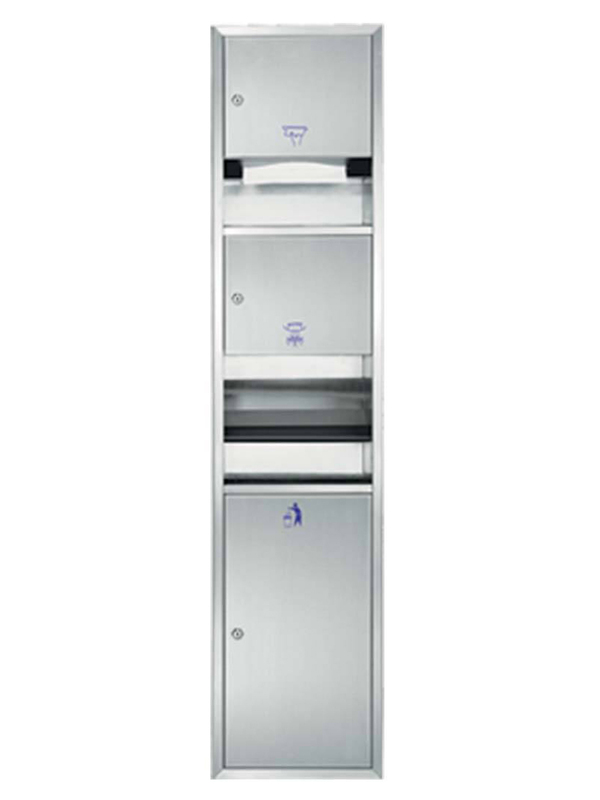 Cabinet : 18-8, type-304, 22guage (0.8mm) stainless steel with satin finish, which is durable and steady. All-welded construction. 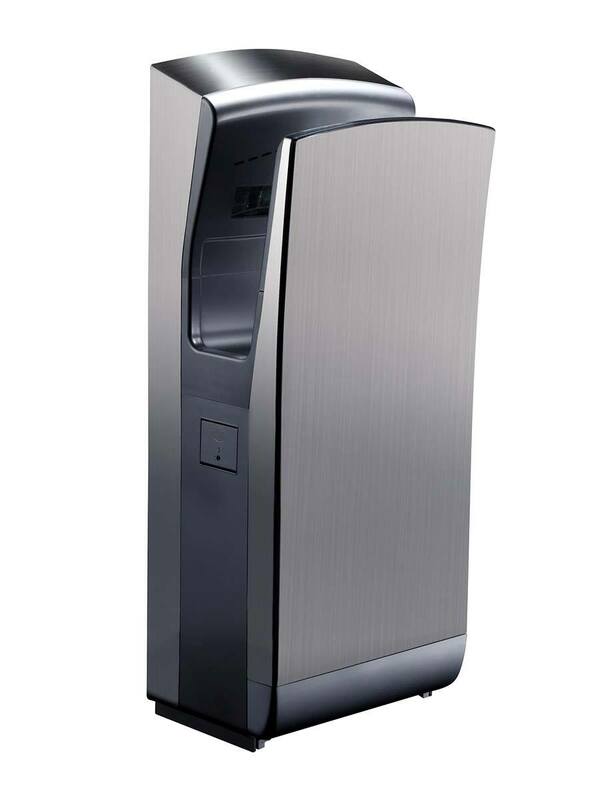 Paper Towel Dispenser : 18-8, type-304, 0.8mm (22-gauge) stainless steel. Rounded towel tray has hemmed opening to dispense paper towel without tearing. 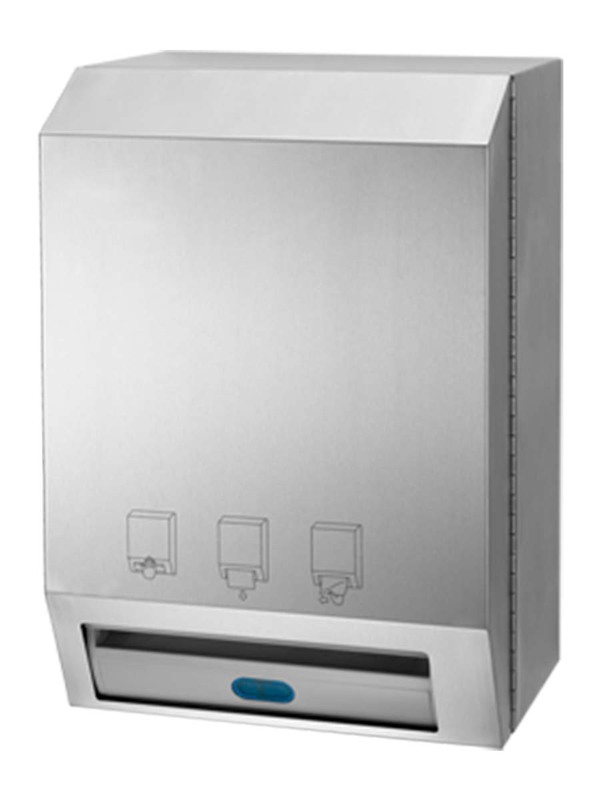 Paper Towel Capacity : 450 C-fold, 600 multifold, or 850 single fold paper towels. 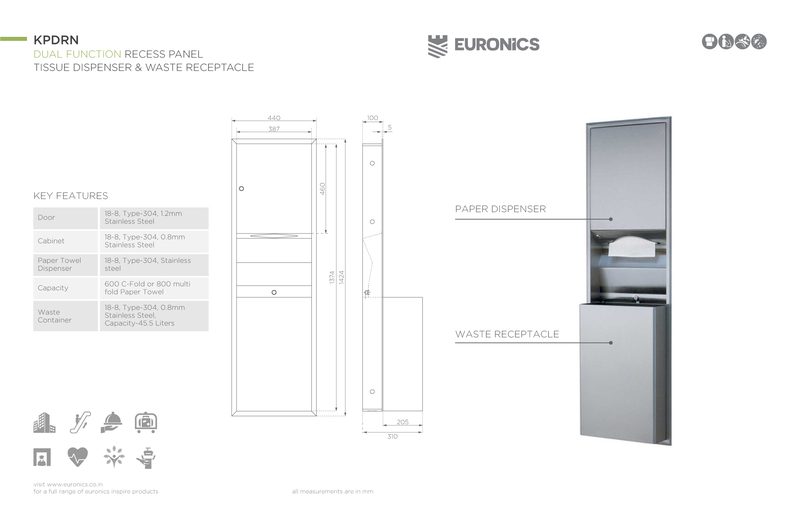 Waste Container : 18-8, type-304, 0.8mm (22-gauge) stainless steel.